Scroll down to browse the tours and discover the right experience for you. Enjoy a fun, interactive trail with family or friends or dig deeper into the fascinating history of the castle. We hope we have provided something for everyone. 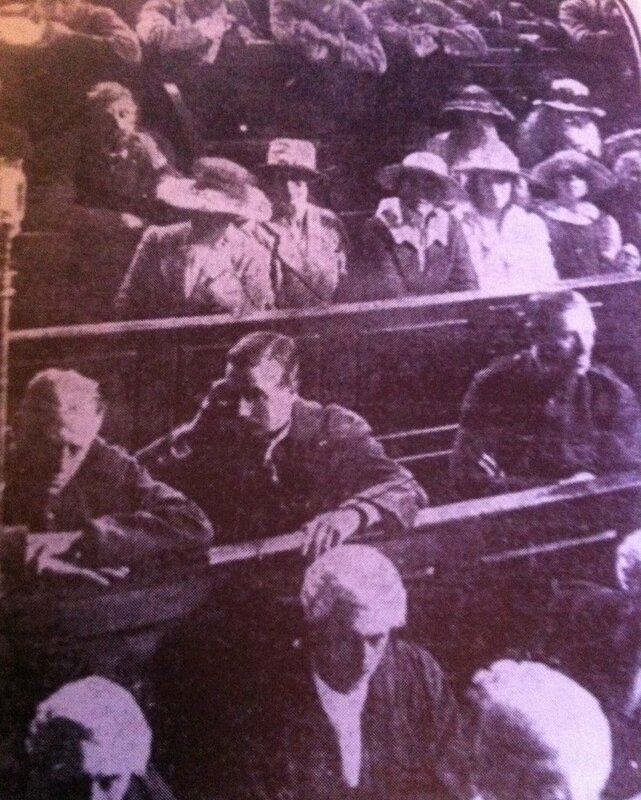 An emotive dramatisation of the infamous Green Bicycle Murder trial that took place here in 1920. Move around the Court and hear from characters that make up Leicester’s most intriguing murder mystery. This tour will take approximately 25 minutes. We recommend you visit the individual locations mentioned in the tour, but tracks can be triggered anywhere if you find difficulty in moving around the courtroom. You will require headphones to complete the tour. The family trail is ideal for young people and families with children under 12 yrs. Discover locations around the building to complete this fun, interactive tour. Learn fun facts about historical figures with a connection to Leicester Castle’s Great Hall. This trail will take approximately 20 minutes. To complete it, you will need reasonable mobility to access all the different areas. This trail is packed full of easy to find information that covers significant people and events throughout the history of Leicester Castle. Discover written information, images and interviews with acclaimed Leicester archeologist, Richard Buckley. Explore the Great Hall and dip into the timeline at your convenience to learn its history. Take a walk around the courtroom and cells below whilst listening to first hand accounts from people who worked in Leicester Castle during its time as a courtroom. Discover some of the features hidden around the castle that tell the story of how the castle began, and how it has changed over the centuries.